The dividing line between luxury and mass-market vehicles used to be clearly defined, but not so much anymore. These days, the biggest differences between the two can sometimes be little more than the brand name and the price, which means non-luxury models can often represent fantastic value when compared to similar vehicles carrying a prestige badge. For a real-life example of just such a scenario, here's a 2017 Ford Fusion vs. 2017 Lincoln MKZ comparison to see which is really the better choice. Although it's perhaps not entirely obvious at first glance, the Ford Fusion and the Lincoln MKZ are effectively two different takes on the same vehicle. They're both midsize sedans based on the same platform and share a lot of components, but it has to be said that Ford has done a commendable job of presenting them very differently. There's definitely a more prestigious air about the Lincoln, but it's not really an obviously attractive vehicle. The twin-wing grille used by the luxury brand for almost a decade has been replaced by a more ubiquitous mesh grille with a rounded trapezoidal shape. Lincoln’s four-pointed enclosed star sits proudly in the center of the new grille, which is flanked by slim LED headlamps that wrap around slightly inward. 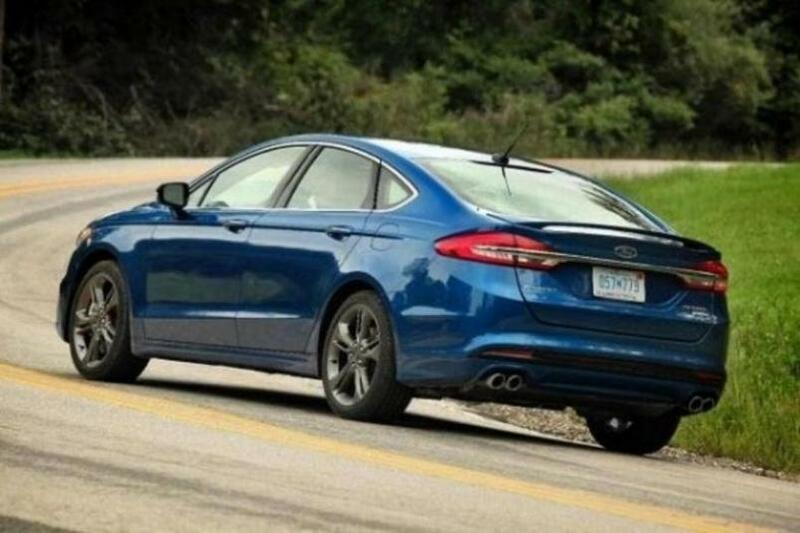 It's almost unfair to compare the fastback exterior styling of the 2017 Ford Fusion with any car you might reasonably consider as a rival. The Fusion isn't just one of the best-looking cars in its class; it's possibly one of the most attractive sedans in the current market, period. The 2017 model year sees the Fusion with a grille that's now slightly wider and sleeker, and some new LED headlamps have been added to complement the existing LED taillamps. Every minor tweak Ford makes to the Fusion only seems to enhance its credentials as one of the most stylish sedans you can buy; mass-market or otherwise. If you're buying on looks alone the Fusion is an easy winner. Comfort and quality are areas where it really should be a slam dunk for the luxury brand, and there's certainly little to criticize with the interior of the Lincoln MKZ apart from a bit of a lack of headroom for rear-seat passengers. There are smart textures and materials throughout the cabin and the build quality is very good. It's actually pretty generous in terms of interior space for a midsize, apart from that rear headroom, but perhaps surprisingly it isn't quite as spacious as the Fusion. If you expect the lower price of the Fusion to be evident in sub-standard materials like hard plastics, harsh cloth seats and a comparative lack of refinement, you're going to be in for a shock. There's absolutely nothing sub-par about the interior of the Fusion at all. It's easy to get in and out of, there's a good balance of passenger space between the front and rear seats, and there's plenty of quality to be seen everywhere you look and touch. Obviously, the entry level Fusion S isn't as luxurious as the entry level Lincoln MKZ Premier, but the Fusion Platinum really does give the Lincoln more than a run for its money. There's nothing at all wrong with the comfort and quality of the Lincoln MKZ, but the Fusion really does punch above its weight here and it could make buyers question the logic behind paying more for the Lincoln badge. 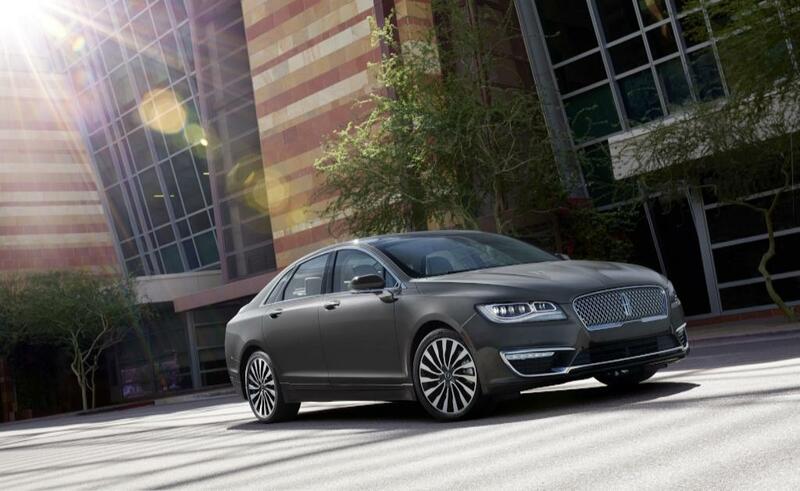 There are two engines available for the 2017 Lincoln MKZ. The standard engine in the entry level model is a 2.0-liter inline-four that develops a useful 245 horsepower and 275 lb.-ft. of torque. The Select and Reserve trims bring about the option of a new, more powerful engine in the shape of a 3.0-liter V-6 that develops an impressive 400 horsepower and 400 lb.-ft. The best fuel economy obviously comes from the inline-four in front-wheel drive form with EPA ratings of 21 mpg in the city, 31 mpg on the highway and 24 mpg. Those numbers drop to 20/28/23 mpg with all-wheel drive, while the all-wheel drive only 3.0-liter V-6 comes with figures of 18/27/21 mpg and 17/26/20 mpg with front and rear-drive, respectively. Although the 2017 Ford Fusion can't quite match the Lincoln's 3.0-liter V-6 for power, it's got it beat in every other way when it comes to engines and fuel economy. For a start, there are no less than four-different powerplants to select from: a 2.5-liter inline-four and three EcoBoost units of 1.5, 2.0 and 2.7-liter displacements. The best fuel economy comes from the 181 horsepower 1.5-liter EcoBoost four-cylinder, which is rated at 23 mpg in the city, 34 mpg on the highway and 27 mpg combined. The MKZ is available as a hybrid as well, of course, but the Ford sees that and raises it by offering both hybrid and plug-in hybrid variants of the Fusion. Of course these two cars have a lot in common, but the question has to be whether the 2017 Lincoln MKZ can justify the considerably bigger price ticket. It's open to debate how prestigious the Lincoln badge is and how much that is worth, but if you look at these two pragmatically it's hard to see why you'd choose the MKZ over the Fusion. The sensational all-wheel drive Fusion Sport is almost $2,000 less than the entry level front-drive Lincoln MKZ Premier, while the entry level Fusion is almost $13,000 less than the Lincoln. The Fusion is a sensational car, but it's also sensational value, especially in this company.